ESIC Delhi Recruitment Notification/ Apply online for the 329 Vacant Posts, www.esic.nic.in. 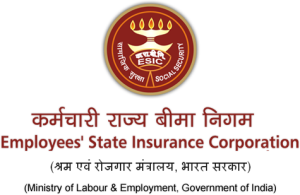 The Employees State Insurance Corporation ( ESIC ) Recruitment Board has recently issued a notification according which they are soon going to recruit best teaching faculties to their vacant posts. All those candidates who considers themselves best to these vacant posts may please register their application for the recruitment by logging in to the official website of the recruitment board of Employees State Insurance Corporation. The Employees State Insurance Corporation is soon going to fill their unoccupied posts with most efficient candidates. This is a bright oppurtunity for many job seekers to get placed in the educational institutions under Employees State Insurance Corporation. All those who feel interested towards these vacant posts must register their application before 15th November 2015. No late applications will be accepted. The expected educational qualification from the candidates is Recognized Medical qualification included in the First or Second Schedule or Part-II of the Third Schedule to the Indian Medical Council Act, 1956 for Medical candidates, Post graduation qualification i.e. Masters Degree in the concerned subject for NonMedical Candidates. For any further details regarding the educational qualification, please log in to the official website. Age Restrictions: The maximum age of candidates must not exceed 50 years. Any further age relaxations to the reserved categories will be based on government norms. Starting date for filling online application: 15/10/2015. Last date for submission of online application form: 15/11/2015. To apply for the vacant posts in Employees State Insurance Corporation ( ESIC) all candidates are at first requested to log in to the official website at www.esic.nic.in. Or you may simply click on the official link given on this page. After completely checking all the details provided, please click on submit button. Click here for official link: www.esic.nic.in. Recruitment	Details Of Vacancies in Employees State Insurance Corporation 2015, ESIC Delhi Recruitment Notification/ Apply online for the 329 Vacant Posts, ESIC Delhi Teaching Faculty Vacant Posts 2015, How to Apply for the vacant posts in ESIC online, List of Vacant posts in Employees State Insurance Corporation, www.esic.nic.in.